A camp fire under the stars, which hang large and brilliant in the sky. The stillness of the night hides the overriding features of the Thar Desert that is primieval, savage, lonely. 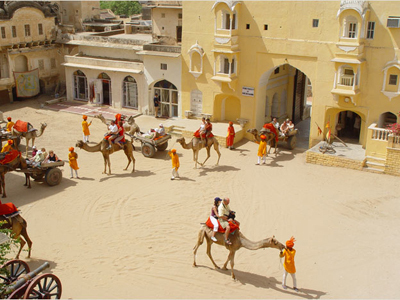 By day its monotonous regularity lies broken only by occasional groups of colorful people and welcoming villages, remnants of wayside forts and palaces, each with a story of past chivalry and glory of the Rajput era. 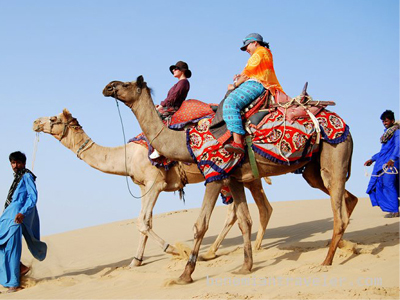 The Thar is a world of its own, an unrelieved ocean of sand, dotted with dunes and scarce xerophic shrubs, with its own distinctive wild life. Here amongst the sun and the sand you will meet some of the most colorful and courageous people on earth. They respond to the rigors of life in the desert with the exuberance of music and songs; their vibrant attire, the upward twist of mustache almost seem to defy the elements. 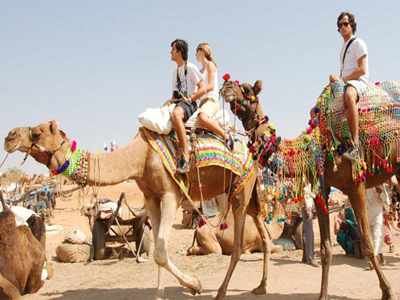 The best safaris are in the heart of the Thar, around Jodhpur, Jaisalmer and Bikaner. 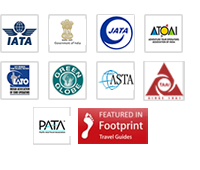 Variations from 3 days to 15 days are organized, though the optimum is a week-long safari. We take care not to pass close to any major towns, camping at small villages and avoiding any proximity to roads with vehicular traffic. We have attempted to recreate the atmosphere of the old caravan journeys. Musicians accompany the caravan, and halts are called outside villages where the local villagers may be invited to join the campfire hospitality. 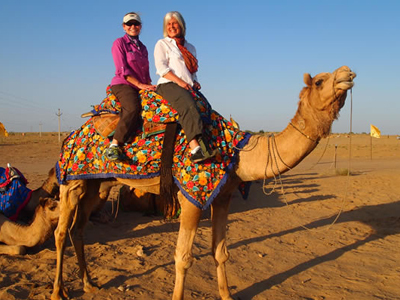 Add to this sightseeing tours to Jaipur, Jodhpur, Bikaner and Jaisalmer and you can look forward to a lifetime experience of the Royal Rajputana. 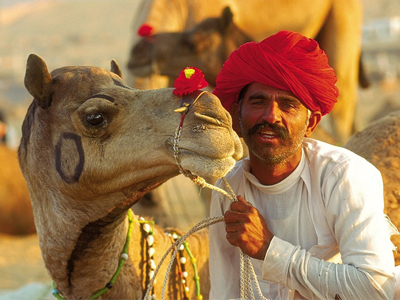 Our desert hospitality team will lead you through this exciting desert safari. Day 1. 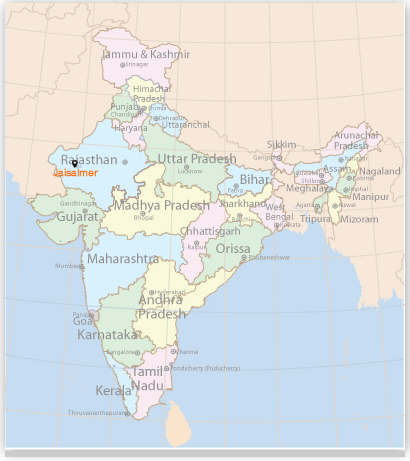 Jaisalmer - Moolsagar - Kuldhara - Massooradi. 2. Massooradi - Jajiya - Khaba. 4. Sam at sunrise - Road head Jaisalmer. Arrive Jaisalmer. Day 1. Bharva - Malji ki Dhani. 2. Malji ki Dhani - Jhawand - Mulana Dunes. 3. Mulana Dunes - Degh Malji ki temple - Devikot. 4. Devikot - Chod Akay fossil park - Drive to Jaisalmer.